Making a promise to never repeat the mistake. Western culture, on the other hand, has largely dispensed with the practice of seeking forgiveness, not least because a public confession of wrongdoing may create liability issues. So you get bafflegab like, “I regret if anyone was offended by ...” instead of a sincere apology. 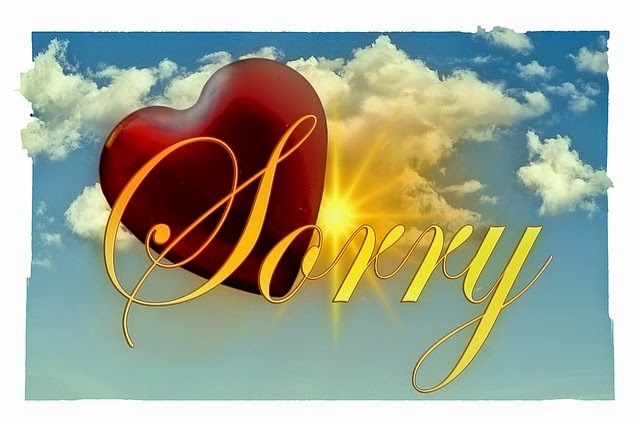 Tom: Immanuel Can, can you recall the last time someone unsaved asked you to forgive them? Immanuel Can: Not offhand. I hear “I’m sorry”, or even “Okay, it’s my fault”. I don’t hear “Forgive me”. Interesting. How about you? Tom: The younger generation will say “My bad”, but it’s often delivered in an ironic tone that communicates clearly the conviction that: (1) it wasn’t really that bad; (2) if it was, I don’t care; and (3) it’s really rather bad form of you to bring it up at all; any normal person would have just let it slide. I think asking or granting forgiveness is really a practice that has almost entirely disappeared. I have asked someone who doesn’t know the Lord to forgive me now and again ... they look at you like you have three heads. IC: Yes. And in a way, I think that makes sense. After all, if there is no cure for sin (or even for mistakes), then why would one ever admit one? Would that not be a confession of one’s own having bad character? Absent a cure for bad character, would not an admission of any genuine guilt amount to a total denigration of oneself? Tom: Absolutely. And of course in the absence of a God to define “mistake”, “error” and “sin”, there is nothing for which to be forgiven. That’s western culture. Islam, on the other hand, is interesting. This tawbah — this Islamic forgiveness ritual — differs more than a little from Christian forgiveness, doesn’t it? IC: Well, yes … recognizing one’s sins and failures is good, of course — the problem being that we tend not to see most of them in the right light without the revelation of God to show us their true nature. But so far as it goes, that’s good. The differences really start with what one is supposed to do about them. Tom: Shame is a feeling my conscience produces quite naturally if I am characteristically walking with God and happen to sin. To refuse to be ashamed when we have done something shameful is, of course, a very bad thing. And shame can and should prompt me to ask for forgiveness, absolutely. But is it really part of the process of being forgiven? Does God require me to feel miserable for a certain length of time in order to for him to forgive me? Does the intensity of my misery matter in being forgiven? Is it something I ought to cultivate or nourish in myself? I don’t think it is, at least not scripturally. IC: No. The bad news is that there is no amount of shame that atones for the sins that precipitated it. The good news is that there is no amount of shame required to atone for sins. Our recognition of our guilt is necessary to induce us to seek forgiveness; but the guilt itself is no part of the solution. Think of shame as a fire alarm. Fire alarms can be very helpful. Hearing the alarm go off may give you opportunity to escape a fire … but it does nothing to extinguish the fire or to make possible your escape. Getting out, or saving the building, those outcomes take quite different things. Tom: And yet people often feel they need a certain amount of time out to look appropriately miserable. But I think of the Lord saying to Peter, “when you have turned again, strengthen your brothers”. The only thing that might potentially hinder Peter going back to serving the Lord right after denying him three times was that his faith might fail him and the Lord, anticipating that, had already prayed for him that it would not. He turns Peter around after a fall and, in effect, puts him right back on the horse. Or take Paul. How long is he to beat his breast and wail about how he persecuted the believers once he meets the risen Christ on the road to Damascus? He spends three days blinded, then his sight is restored, he gets baptized, has a bite to eat, and we read, “immediately he proclaimed Jesus in the synagogues”. Right to the task at hand. Repentance, yes, but spending time in the spiritual penalty box does not seem to be required. IC: Not only does it not seem to be required, if they’d done it they’d have been disobedient and faithless. For the Lord had told them what to do, and had told them that he would empower them to do it. To waste any further time in self-flagellation would not only have failed to enhance their spirituality but would have been quite toxic. I wonder how many people, though, think that if they beat themselves up enough it will make it easier for the Lord to forgive them. It doesn’t make a lick of sense, but it’s the natural response. Tom: Well, the Lord says, “When you have turned again”, and that’s the key to forgiveness: that change of heart and that change of direction. It’s repentance the Lord is looking for. It was the nations who worshipped idols that practiced self-mutilation and groveling, not God’s people. The Christian God has no interest in such displays. IC: Legalism is always a failure. If we’d had had the strength to be holy by our own resolution, we wouldn’t have a sin problem in the first place, right? So what good is a renewed commitment from a person who’s already proved he or she did not have the strength to keep commitments? That seems manifestly unlikely to succeed. And then, what does this renewed fervor do to compensate for the failures we’ve already had? It has no relationship to justice, for sure. What we owe, it does not repay; and what we promise, we have no power to keep. This is how the Christian God is: he anticipates exactly what we are going to do (or fail to do) and makes provision for it ahead of time … and then he even lets our fellow believers know to watch out for it. That’s grace I can appreciate. I am obliged to promise nothing, because the Lord knows that just sets me up for failure. I feel sorry for those Muslims making promises, because I guarantee you their track record is no better than that of the Israelites, or for that matter, mine. IC: I think that the crushing disappointment from having failed to live up to a moral standard you definitely committed yourself to hold is a pretty general human experience. We discover we are not nearly such good people as we expected ourselves to be — and as perhaps we genuinely wanted to believe ourselves to be. The sort of promise specified in the third step of Islamic “repentance” can only lead to repetition of that same experience. All human-created religions have this element in common: that they vastly overestimate the power of the human will to generate or sustain the good. Forgiveness is the only true curative to this crushing sense of personal failure. Tom: Some Christians may feel we’re minimizing the amount of angst, self-recrimination, self-examination and recommitment that traditionally accompany repentance. Do any of these things make me more forgiven? IC: No, of course not. The same point is made in Galatians by Paul, when he asks the believers, “… having begun by the Spirit, are you now being perfected by the flesh?” The question is rhetorical, of course: people are saved by giving up on the ability of their flesh to please God and appealing through Christ for his righteousness, not in establishing their own. If that’s the mechanism of salvation, what sense would it make if the mechanism of our sanctification were different from that, and reverted to the old, already-failed strategy of confidence in the flesh? That’s an important insight: neither before nor after salvation is our flesh itself any resource for producing godliness. Forget about it — we’re just not that good. Tom: I think Paul’s experience with forgiveness is instructive. You can see throughout his writing that he is very aware just how wickedly he behaved in the past. He uses it by way of background when called to give an account for his faith. But he doesn’t dwell on what he did. He says, “forgetting what lies behind”, both good things and bad, “I press on”. The thought of what he had been and done did not drag him down or break him, it energized him in the opposite direction. Clarity about the wickedness of our actions is useful. Obsessing over our guilt is not. IC: Well put. It reminds me of this verse, which contrasts the kind of sorrow that focusing on ourselves produces and the kind that godly sensitivity to sin produces. The first produces nothing but “death”, but the second produces “repentance without regret”. That’s an extremely meaningful difference, don’t you think? The Lord has an interest in our repentance; in our despair, he has none.